Use this coupon code today to save 20% off your order from Creative Live. Save 30% off select topics when sign up today at CreativeLive. 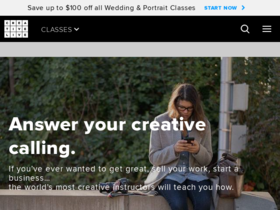 Act fast and sign up for classes starting as low as $29 from CreativeLive.com. Check out CreativeLive online for their latest special offers.